The Senate Committee on Communications yesterday affirmed its resolve to unmask those behind the payment of N50 billion by the Mobile Telecommunication Network (MTN). Its Chairman, Senator Gilbert Nnaji, said the committee was interested in knowing why MTN was directed to pay the money into a recovery account, instead of rooting it through the Nigeria Communications Commission (NCC). He said the committee?s stance became necessary following reports that the matter was literally laid to rest due to the absence of the Attorney General and Minister of Justice, Abubakar Malami, at its hearing last Thursday. The NCC, last October, imposed a fine of N1.04 trillion on MTN for contravening the directive on deactivation of 5.2 million unregistered subscribers. 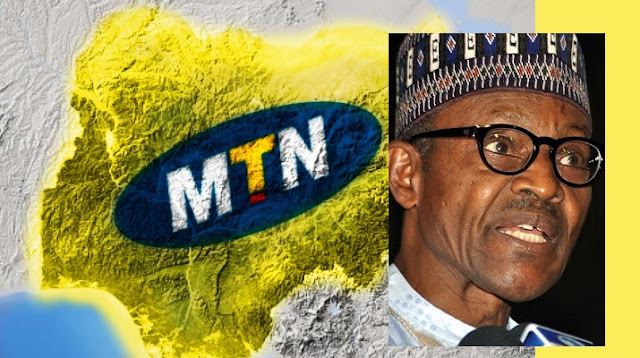 MTN was, however, reported to have paid N50 billion into government coffers as part of a deal to resolve the matter. Nnaji said most committee members saw Malami?s action in relation to the controversial N50 billion payment by MTN, as ?not only at variance with the anti-corruption stance of the Federal Government, but an attempt to undermine Nigeria?s integrity and subject it to ridicule to impress South Africa.? He insisted that no sentiments would deter the committee from unmasking those behind the ?national embarrassment?. The chairman said unravelling circumstances surrounding the deal became necessary due to the public outcry it continued to generate. Nnaji noted that the committee queried the intentions of the attorney-general ?in unilaterally opening a new account with a name that had no correlation with the issue at hand and ordering MTN to credit same despite the Treasury Single Account (TSA). He said the committee?s believed that ?if there were no ulterior motives, the Ministry of Justice could have gone through streamlined processes of, among others, rooting the money through NCC with sufficient notice to the Ministry of Communications instead of sidelining the major stakeholders and circumventing extant laws guiding public financial administration?. The senator said: ?This is one transaction that has generated public suspicion, compelling the committee to invite relevant stakeholders to this meeting for adequate clarifications. ?Issues from the foregoing are: into which account did MTN pay the N50 billion and which government agency acknowledged the payment? ?If MTN actually paid, why did it disregard payment into NCC?s coffers as statutorily obliged? ?If MTN paid into CBN?s recovery account, on whose directive did the network do so and what legal right does CBN have to lodge the money in a recovery account?? MTN?s Managing Director Ferdinand Moolman told the committee that as part of the service provider?s commitment to out-of-court settlement, the firm received a directive from the Justice Minister to lodge the money into the CBN-domicilled recovery account, which it complied with on February 24. In their separate responses at the session, Minister of Communications Adebayo Shittu and NCC Executive Vice Chairman Prof. Umar Dambata said they knew nothing about the payment and could not give any insight to the terms and basis of negotiations leading to the payment. The Accountant-General of the Federation Mr. Ahmed Idris, in acknowledging the payment, said he was directed to create the account with the name as suggested by the Minister of Justice. The CBN, represented by Mohammed A. Yakub, explained that as Federal Government?s banker, it acted merely in deference to a request from government agencies. The attorney-general of the federation was not at the hearing, as he was said to have travelled abroad. He was represented by the Director of Civil Litigation, Dayo Akpata, who said the matter was still in court and that as the chief law officer as well as a party in the case, the attorney general took the action in good faith. But this did not go down well with the committee, who dismissed the defence as ?frivolous, face-saving and unacceptable?.